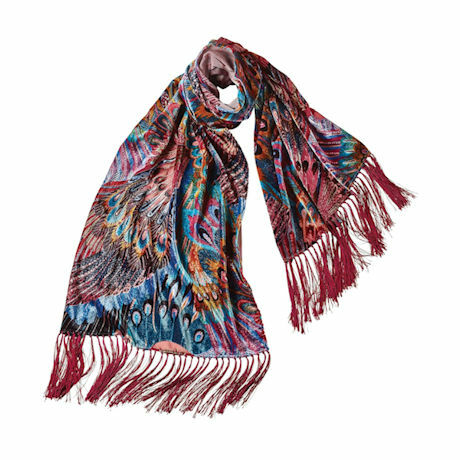 When a peacock extends its wings, the light catches on its iridescent feathers; the very same colors and effect are captured in this elegant velvet scarf, with a burn-out design creating a color-changing quality. Pattern features a pair of magnificent peacocks; tipped with graceful fringe. 80 viscose/20 silk. Dry clean. Imported. 68½" x 20½".